The new OPPA.ca will keep you informed with the latest news, and access to resources and benefits you need during your career and into your retirement. 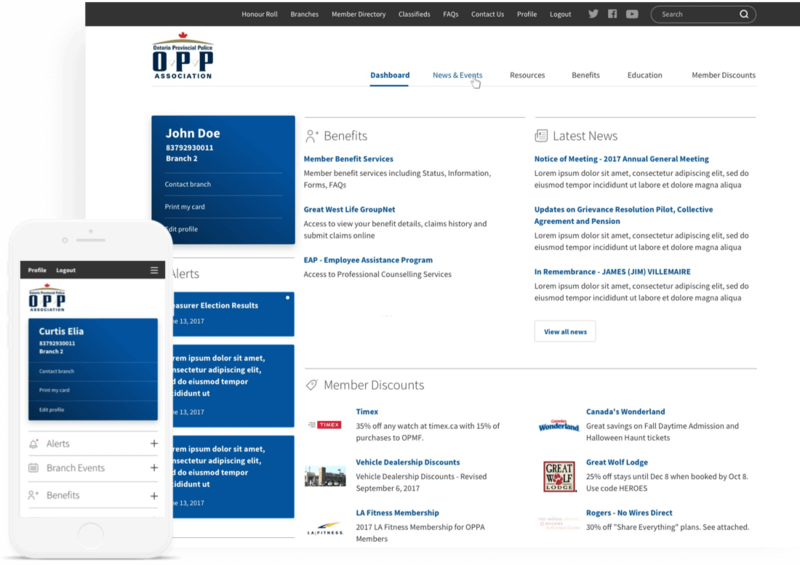 Why members should register for OPP Association website access. As an OPP Association Member, you can access dozens of exclusive offers and discounts from business partners. Browse the OPP Association’s extensive resources, from AGM notes, to by-laws and procedure documents. Log in to view health-related resources, sign up for pre-retirement courses, and download insurance forms at any time. Stay up to date with the latest association or branch news, events, and press releases. Get the training you need with valuable courses and access bursary information for your dependents. Access to documents, forms and information. What is the OPP Association? We are the sole bargaining agent for civilian and uniform members (below the rank of inspector) of the Ontario Provincial Police. We represent members’ interests in negotiations with provincial government, promote healthy and safe work environments and advocate for betters tools, equipment and support for members suffering from operational stress injuries, among other things. Is the OPP Association a law enforcement agency? No. We are the sole bargaining agent for uniform and civilian members of the Ontario Provincial Police. We are not a law enforcement agency. I am attempting to obtain a criminal background check. Who should I contact? We are not a law enforcement agency. For criminal background checks, please contact the police service of jurisdiction in your municipality.